An elegant, formal evening cane, suitable as an accessory for black or white tie outfits and when attending the opera or theatre. 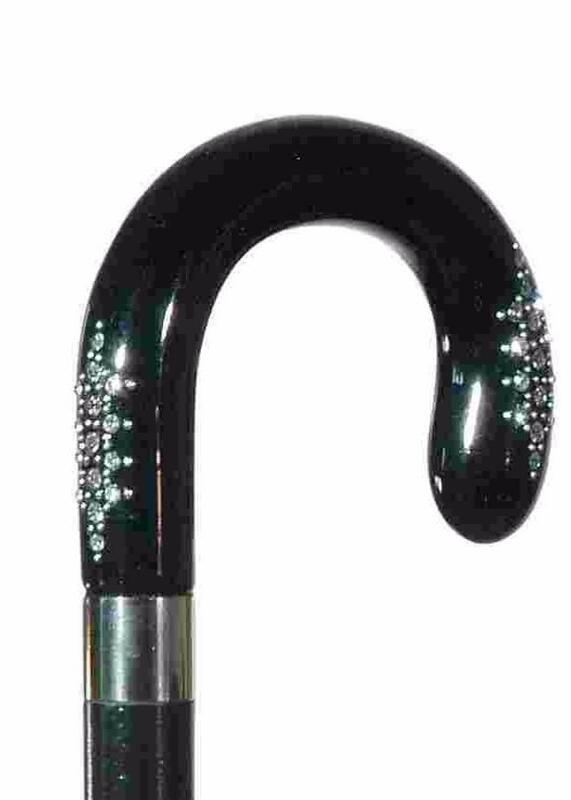 The smooth crook handle is set with sparkling Swarovski Elements, and is mounted on a hardwood shaft, painted black and fitted with a discreet rubber ferrule. The overall height is 92cm (36"). Ferrule diameter 19mm.